Customize and combine features from different farm maps. Add daily forage and ore spawning to any location in the game, and stumps/logs/boulders/meteors anywhere on your farm. 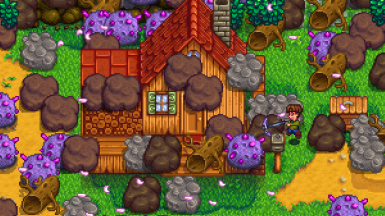 Stardew Valley Expanded This mod allows my custom forage locations to function. Refer to the "LICENSE" file on this project's GitHub for copyright information. 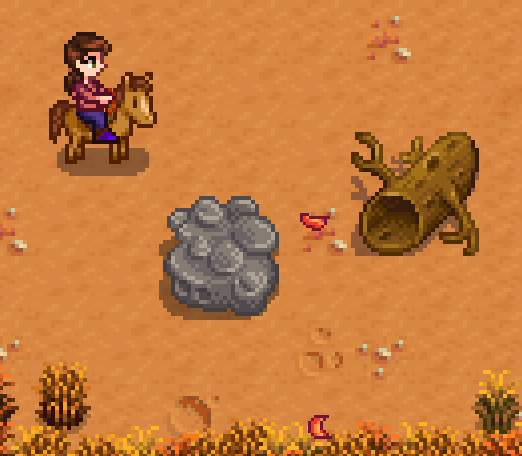 Hotfix for a bug reported by FlashShifter with Stardew Valley Expanded. * Fixes a bug where ExtraConditions caused spawning to stop entirely, which would skip any additional spawn areas. 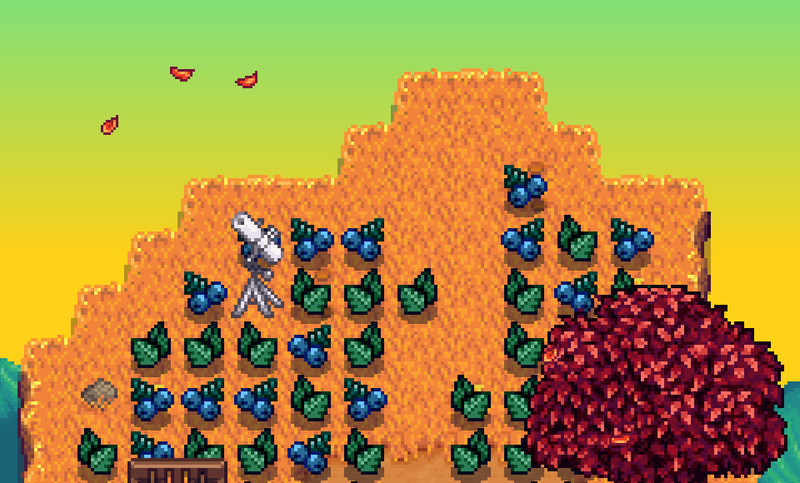 Designed for Stardew Valley v1.3.36. 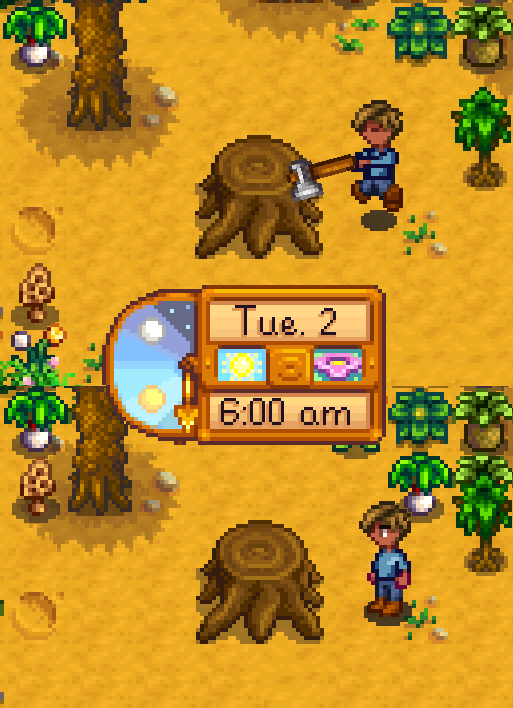 * Fixes a bug from v1.3 that produced a generic error message when creating a new farm. 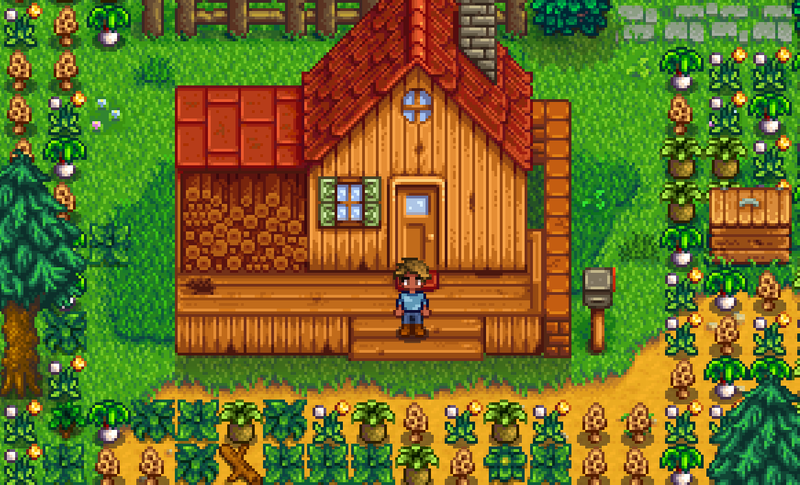 * Fixes a bug from v1.3 where loading a farm, returning to the title screen, and creating a new farm would use the previous farm's config file. 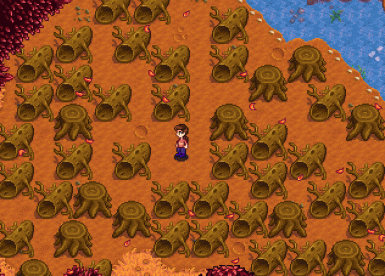 Designed for Stardew Valley v1.3.33. * Adds a set of ExtraConditions settings for each area. This allows spawning to be limited to certain times, weather, or a specific total number of days. * Adds item index settings for each season to the Areas list in Forage_Spawn_Settings ("SpringItemIndex", etc). When set to something other than null, these will override the "global" item index settings, spawning different forage types in that specific area. * Adds the "default.json" config file to the data folder. Any new config files will be copied from that file, so editing default.json will cause new farms (or files) to automatically start with customized settings. * Fixes a bug with the "FindExistingObjectLocations" search process that caused it to stop early. First public release. 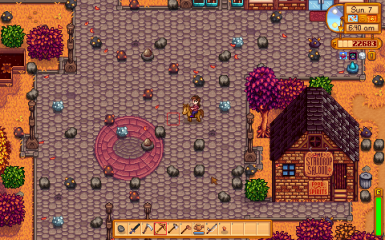 Supports forage and ore on every map, and large objects on the farm. 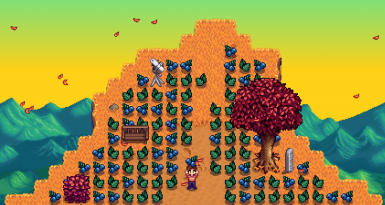 Designed for Stardew Valley v1.3.32. Farm Type Manager allows you to customize the features from Stardew Valley's different farm maps. 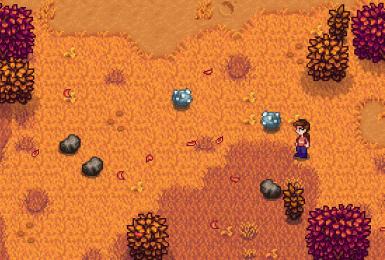 It currently supports spawning ore and forageable plants on any map in the game, and spawning large objects (stumps, boulders, meteorites, etc) on the farm itself. You can configure the number of objects spawned per day, which areas or terrain types they can spawn on, the chances of spawning each object type, and more. 1. Install the latest version of SMAPI. 2. Download FarmTypeManager from the Files tab or on the GitHub releases page. 3. Unzip FarmTypeManager into your Stardew Valley/Mods folder. 1. Run the game using SMAPI. 2. Load the farm you want to customize, or create a new character and progress past the game's intro. This will create a configuration file for your character in the Stardew Valley/Mods/FarmTypeManager/data folder. 3. Open the .json file with your character's name on it. It's a text file, so any text editor should work. 4. Customize the file's settings (see Examples below, or the Settings section of the readme on GitHub). 5. Exit your farm and reload it, or progress to the next in-game day. The mod's settings should now be active. Note: This mod will be disabled in multiplayer when you play as a farmhand (i.e. join a game hosted by someone else). Its console commands will still function, though. This command can be disabled in the config.json file if desired, e.g. if it conflicts with another mod. Most of the setting names try to be self-explanatory, but for more detailed information, see the Settings section of the readme on GitHub.